The number of people working in Alberta dropped by 15,000 in January — the second consecutive monthly dip — while the unemployment rate rose to 6.8 per cent from 6.4 per cent. Trevor Tombe says those numbers are further evidence that Alberta's economic recovery has gone flat. Add to that a discernible drop in business confidence and investment, and there's a worrisome trend, Tombe says. "Where we are, based on all the monthly indicators, the pace of recovery is slower than any recovery has been at least in the past 20 years," he said. "So that means there's not a lot of room based on where we are now and where negative growth would be — it is getting close to a second recession. That's not to say we're in one." Tombe says there's a widening gap between where employment numbers are now and where they'd need to be to keep up with population growth. "That gap now, today, is about 60,000, and that's a wider gap relative to the 40,000 that we saw through most of 2018," he said. "For perspective, the biggest gap that we observed at the bottom of the recession was 100,000. So that was a measure of how much employment would need to rise by to keep employment rates where they were prior to the recession." Even more concerning, Tombe says, is that the bulk of the unemployed are young workers — and young male workers, in particular. "The share of men under the age of 25 that are employed has just be falling and falling and falling, through the recession, and continued to fall through the recovery, and now is 12.5 percentage points below where it was at the end of 2014." Kevin Moore, owner of Blue Collar Temps, which hires out construction workers, says he hasn't seen any signs of a recovery. "Right now, I've got six or seven guys just sitting here hoping to get out for the day. But I didn't have anything extra for them," he said. "I don't think we ever got out of a recession. And I think we're headed for, personally, I think we're headed for a depression that nobody's ready for yet." Tombe noted that the provincial government's Alberta Activities Index is now at 1.8 per cent, a lower pace of growth than at any point since the couple of years leading up to the 2008 financial crisis. And Tombe's own index of 13 monthly indicators also shows flattened growth, as of November, of about 1.3 per cent. "And that's a slower pace of growth across all these 13 indicators than we have seen at any point in the last 20 years except for during recessions," he said. Nationally, employment rose in six provinces, led by Ontario and Quebec. It declined in Alberta and Saskatchewan, while it was little changed in British Columbia and Prince Edward Island. The number of Canadians employed grew by 67,000 in January, mostly among youth aged 15 to 24 and in the services-producing industries. 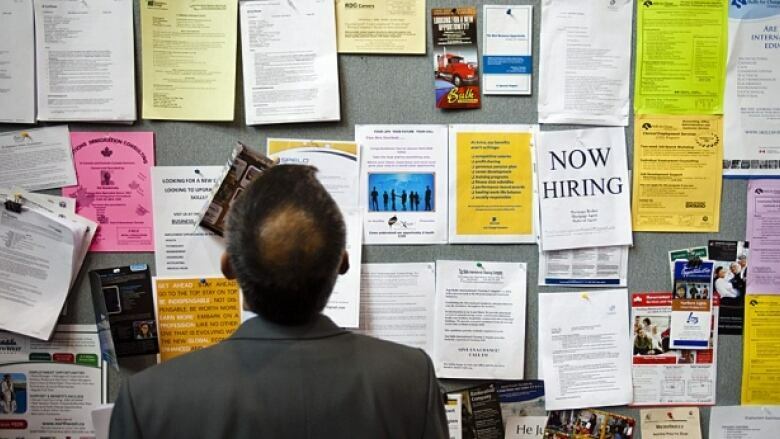 But the unemployment rate increased 0.2 percentage points to 5.8 per cent as more people looked for work.